Dallas Limo Rental provides Dallas Sedan Service and Black Car Services. Choose from our selection of Sedans and SUV's for your next Airport Transfer, corporate and business transportation. Reserve a Dallas Sedan Service for your Wedding venues in Dallas Tx, Prom venues in Dalas Tx, Bachelorette Party Venues in Dallas Tx, night out in Dallas Tx, Dine In Dallas Tx. 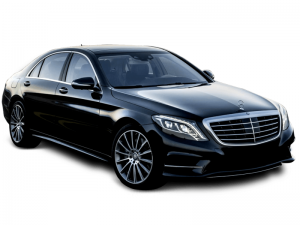 Book a luxury Sedan for your next Anniversary celebration in Dallas Texas. Try a Sedan or SUV for your next tour of Dallas's top breweries. Dallas Sedan Service is a great option for a couple or two for a Concert Night in Dallas. We will drop you off at the gate and pick you up. Designated Drivers come complimentary with will all Luxury Sedans, SUV's, and Black Car Services. Wide variety of black Sedans, Luxury Cars and SUV's for Funerals, Wakes and Memorial Services. Simple and affordable Sedans and SUV's for High School Homecomings. Least expensive option for vehicle choices, try a romantic Luxury Sedan for your Dallas High School Proms. Let us take you on a personal tour of Dallas with your own personal drive in any of our Sedans, Luxury cars and SUV's. Whether your celebrating an Anniversary, Birthday or just having a romantic day or evening, consider a Sedan or Luxury Car for Dallas Wine Tasting Tours. We have many Sedans and Luxury Vehicles to choose from for Wedding Getaway Cars, Shuttling and Wedding Transportation.